Pendleton Community Foundation has officially awarded a “Main Street Beautification” grant to the Pendleton County Convention & Visitors Bureau. The organization is using the funds to improve the streetscape along Main Street in Franklin by removing 45 parking meters, installing 13 solar lampposts with planters designed by Cunningham Place Greenhouse, installing 4 trash cans, and adding 3 new “Welcome to Franklin” signs designed by local artist, Michelle Clark Sites. The welcome signage will also highlight the “Mountains of Opportunity” slogan which was chosen by county residents in 2018. In late January, 2019, Pendleton County Convention & Visitors Bureau Executive Director, Laura Brown, presented the Main Street Beautification project to the Pendleton Community Foundation board members Bill Loving, Mike Judy, Ryan Boggs, Debbie Glover, Luke Taylor, and Betty Kimble. The Foundation asked Brown to gain permission from the Franklin Town Council to proceed with the project. In February, 2019, Brown initially presented the project to the Council and was asked to return to the Council’s March meeting with further information regarding construction details for the project. After a meeting between Town Supervisor, Larry Hoover, and Stone Hill Construction project manager, Chad Rawley, Brown returned to the Council in March with construction details and received a unanimous vote to proceed with the project. On April 1, 2019, Loving awarded a grant letter to the Pendleton County Convention & Visitors Bureau. 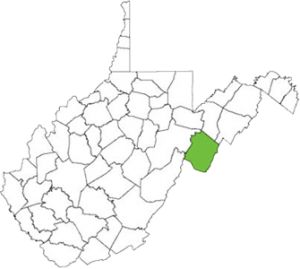 “We’re thrilled to award this grant to the Pendleton County Convention & Visitors Bureau. In addition to revitalizing the community’s downtown area, this grant will help limit the amount of litter on the street by adding trashcans to the street,” said Pendleton Community Foundation President and PCB President Bill Loving. Construction for the Main Street Beautification project is anticipated to begin in late May.